- Stamps are for personal use, images are to be used by the purchaser only. - Limited license is granted for individually handmade artworks to be created and sold on a small scale, not mass produced. No mechanical or other forms of reproduction are allowed. - Quantities for craftworks for sale are limited to 100 handstamped images per year. Larger commercial use and/or use of images in an ongoing business is not allowed. - You may use the lineart in digital colouring, but not post it as your own on any digital medium, DeviantArt.com or any websites without proper credit. - Images can be digitally coloured, printed out and used in handmade craftworks for sale, but not sold as prints and/or on merchandise. - Images cannot be used to create logos, clip art or for other commercial use, including print-on-demand merchandise. - You may not distribute, sell, share, lend, trace, or mass produce the digital file. - You may not post the uncoloured or un-watermarked images on blogs or websites. - You may not reproduce the images on rubber or similar physical stamps without permission. - You may not alter images digitally in any way, including use in collages or kits for commercial use. - Digital files are not refundable. 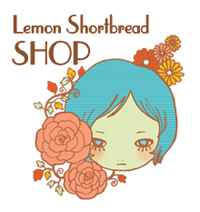 - All Lemon Shortbread images are copyrighted to Lemon Shortbread Art/ Vera Ma. There is no transfer of copyright with the purchase of digital files. 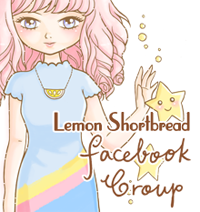 - Please credit to Lemon Shortbread Art or my shop, if your item is made for sale.